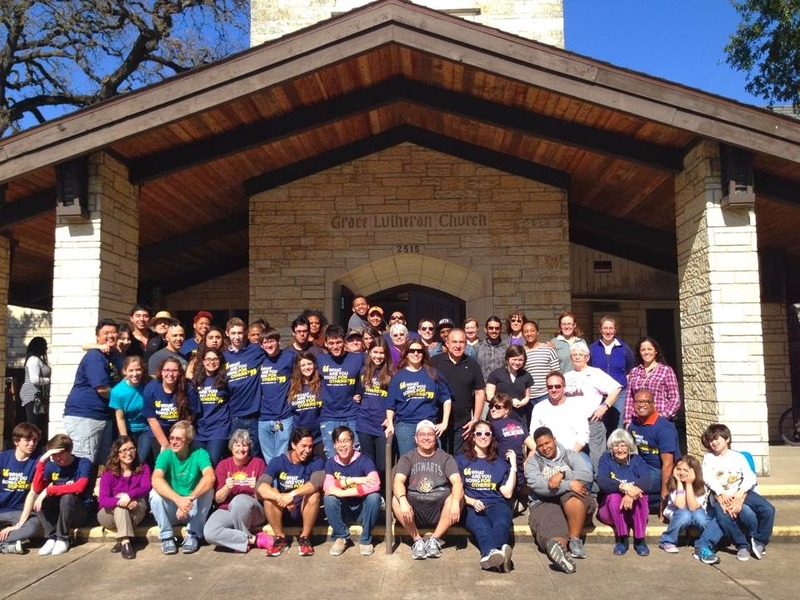 On January 20th, Grace Lutheran hosted volunteers from all over Houston as we participated in the Human Rights Campaign's Martin Luther King, Jr. Day of Service. 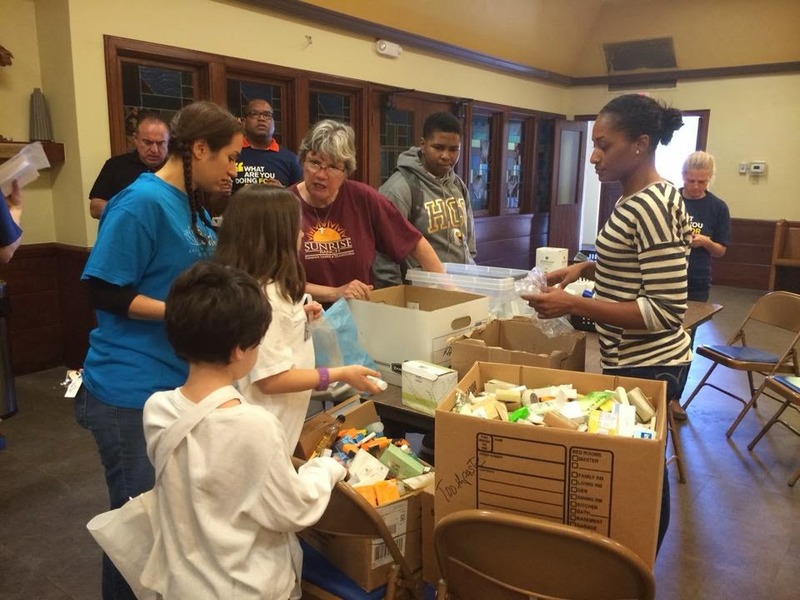 Taking place in January, MLK Day of Service is a "day on, not a day off." It is a way to transform Dr. King's life and teachings into community action to help bring together people, strengthen communities, and meet national challenges. 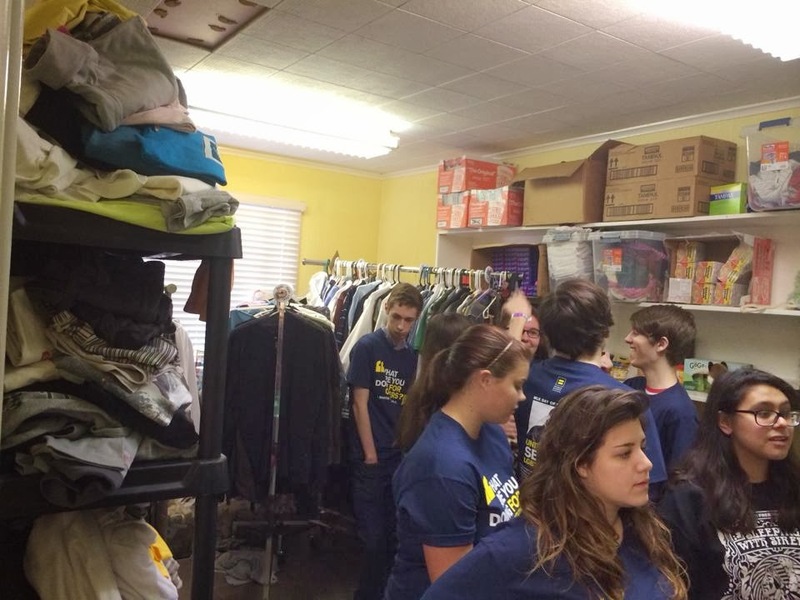 Volunteers worked hard on many tasks associated with Montrose Grace Place. 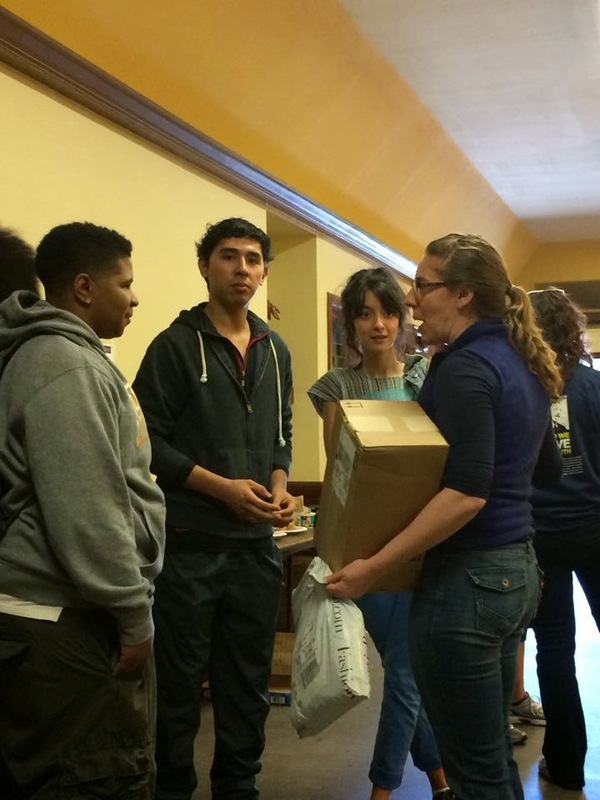 Just to name a few: Volunteers made "care kits" for LGBT homeless youth, worked hard on organizing the MGP clothing closet, and helped straighten and clean the youth room and the court yard (which are both used for MGP on Thursday evenings). Grace would like to extend a HUGE thank you to everyone involved. The day was a complete success and it wouldn't have happened without all of the wonderful volunteers. Volunteers pose outside of Grace Lutheran.